After sleeping in the frozen wastes of Franklin Basin. I decided I was done with winter camping for a minute. I began setting my sites towards something warmer and more enjoyable. 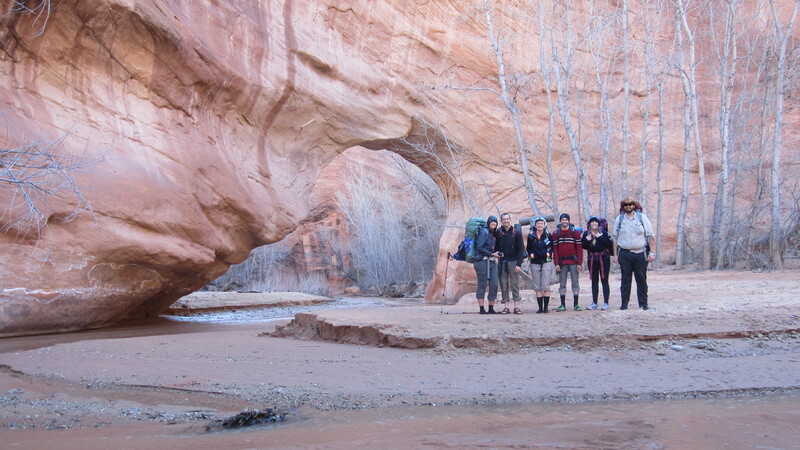 We started planning a trip to Coyote Gulch near Escalante, UT. In mid March me and 5 other friends loaded up our cars and headed south. The week before we left this southerly region of the state enjoyed a very healthy snow storm. The whole way down we kept seeing lots and lots of snow. 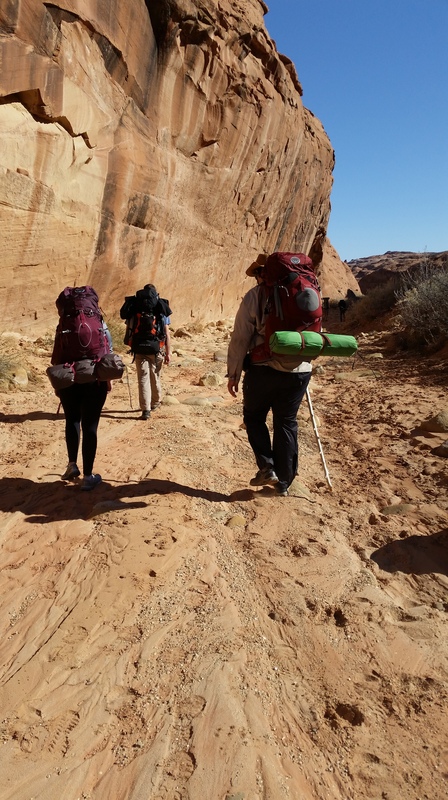 It had me very nervous as 3 of the people we were bringing with us had little to no backpacking experience. Thankfully, once we reached the trail head there was no snow! We camped the first night not to far off the trail head. It was pretty chilly, more so than I was expecting. I slept great but the girls all froze. I just kept thinking I hope its not this cold the whole time. That morning I woke up refreshed and excited. I was up before everyone else and I took my harmonica and went for a nice little walk to get my blood pumping. After returning from the walk I went to the car to retrieve something and placed my harmonica on the seat as I was doing so. By this time everyone had gotten up and started eating shortly after that we were on the trail. We walked. It was a long way down hurricane wash before we started to feel like we were entering coyote gulch. Then seamlessly the walls got higher and higher until we were engulfed by the canyon. We were all in awe when we finally reached the gulch. We all took a minute to admire the majestic red walls that loomed and shaded us. By this time my hip had started to hurt pretty good. I have learned from my recent research about the AT that they call Ibuprofen ‘Vitamin I’ this is a fitting name for long term hiking. So before starting further down the trail I popped some Vitamin I. 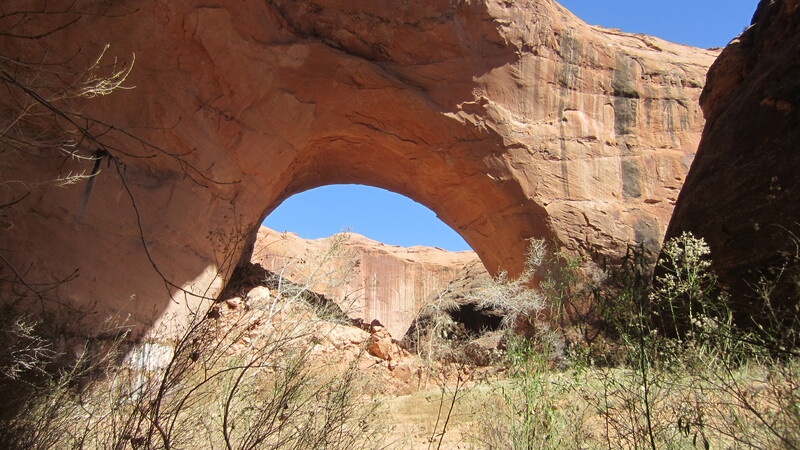 It was another hour or 2 of hiking before we stopped for the day at Jacob Hamblin’s Arch. It was an awesome spot to stay the night. In the edge of great sandstone bowl. sleeping on the soft sand. It was at this point I realized I did not have my harmonica. I was rather upset that I couldn’t play any music on the trip. So instead we all chatted and talked into the night. Then i popped some more Vitamin I and went to sleep. The next morning we started walking down the river further. We came to the Natural Bridge. This is where the river just goes through a hole worn in the rock. quite a thing to behold really. We passed several waterfalls and incredible sights where the water had cut incredible little passages into the rock. About mid day we found a good spot to set up a camp for the day. We set up our tents and took day packs to continue through the rest of the hike. The hike beyond this point got quite steep, navigating down several waterfalls. and traversing some steep slick rock. 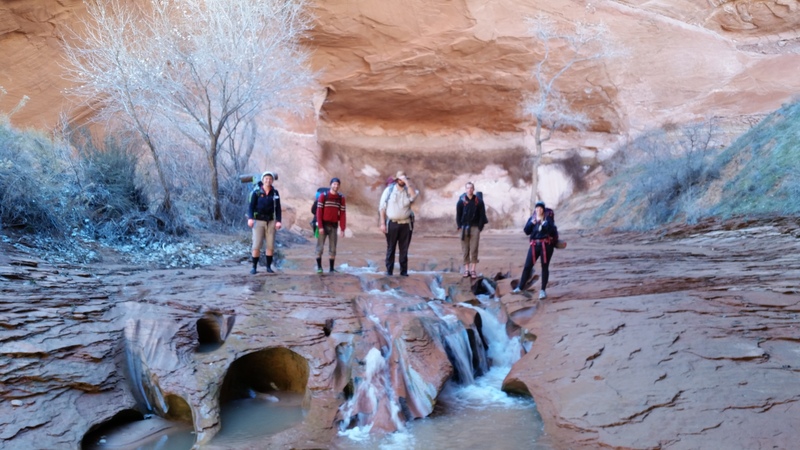 But we all made it safely to the bottom of the canyon where Coyote Gulch meets the Escalante river that feeds into lake powell. We all took a minute to refresh ourselves before returning back to the camp we had set up a few hours before. The next to days were spent retracing our steps back out the canyon. everyone with mixed feelings about how we don’t want to leave but at the same time we all miss our beds and hot showers. I kept thinking to myself. Am I really ready to do this for 6 weeks straight? or longer? quite a sobering thought. Then I thought of how accomplished I will feel when I’m done and I know I really just wanna hike the AT. Nothing in this life worth doing is ever easy. 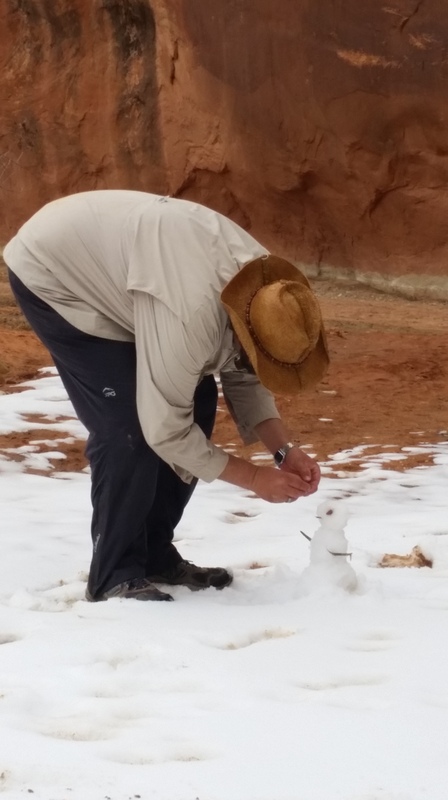 And what good is snow in the desert if you don’t make a snow man! Looks like a ton of fun! You take great pictures! Can’t wait to see the ones along the AT.